White House or Bust: James Polk! 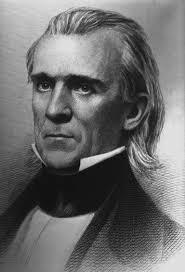 James K. Polk of Tennessee was elected the eleventh president of the United States in 1844. Somewhere in the back of your brain you may barely recall having heard his name before. If not, no worries – few people of his own day had heard of him either. But before you dismiss Polk as just another of those random presidents caught in the black hole between stand-out presidents #7 and #16 (Andrew Jackson and Abraham Lincoln) you should be aware that he is widely regarded as one of the most effective presidents in our nation’s history. Not only is he the only president in that group of eight – between Jackson and Lincoln – who escaped the bottom half of the presidential rankings, but he is viewed as having had a more successful presidency than notables such as John Adams, James Madison and LBJ! And he’s just behind Eisenhower, Truman and his mentor Andrew Jackson in the eyes of historians. If nothing else, Polk proves the old adage about being in the right place at the right time. Months before his nomination as the Democratic candidate for president, the odds he would be selected (much less elected) must have been astronomically long. He served in the House of Representative for more than a decade and was a one-term governor of Tennessee. But then he lost two successive gubernatorial elections and, even to his friends, seemed washed up as a politician. But great friendships are worth their weight in gold and James Polk’s long-time political mentor and ally was none other than Andrew Jackson. And when the much more obvious Democratic nominee for president (former president Martin Van Buren) announced his opposition to Texas annexation…James Polk, a strong supporter of annexation and already actively campaigning for the VP slot, had a winning issue. Next is “Polk: The Man Who Transformed the Presidency and America” by Walter Borneman. Published in 2008, Borneman’s biography is both slightly older and a tad lighter than Merry’s. 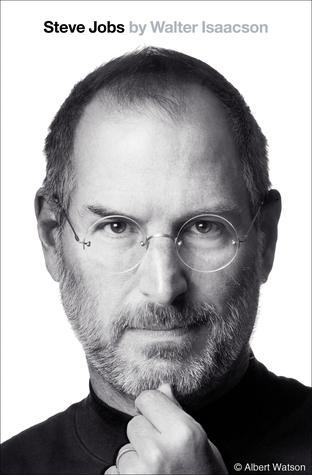 But the two biographies seem similarly well-read and nearly identically reviewed (numerically, if not subjectively). Based only on first impressions, Borneman’s book grabs my attention as it includes a nice three-page chronology of key dates in its earliest pages. I hope that’s a harbinger of great things in the pages that follow. It is certainly a commentary on our times that a President who stage-managed one of the most shameful imperialistic episodes in American history (the Mexican-American War) is regarded as one of the most effective Presidents because he won. Don’t forget to listen to the They Might Be Giants song for the ultimate in succinctness.